This small bunch of wonderfully fragrant Paperwhites blooms all by itself in an almost hidden spot by a pomegranate tree on the side of our house. 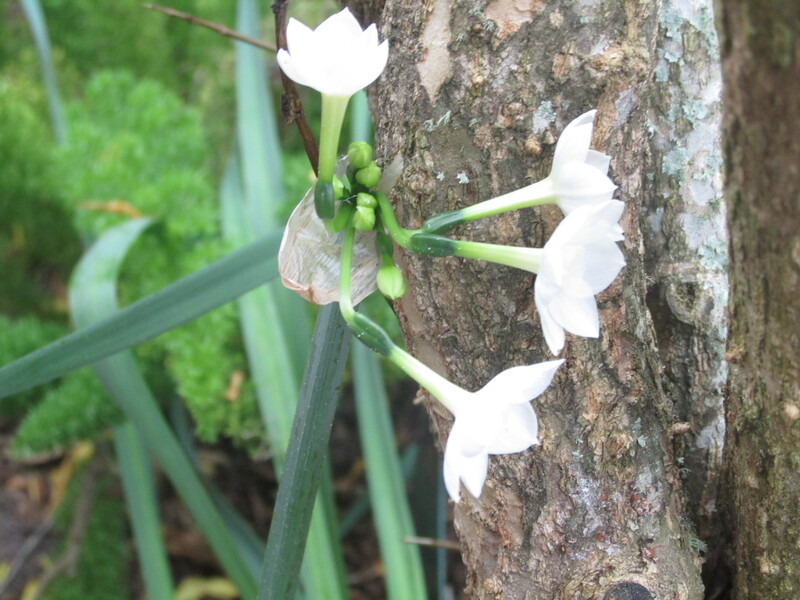 Members of the narcissus family have a sap that contain a chemical that causes other flowers to wilt, so they should not be mixed in a vase with other flowers. This bit of garden trivia helps me to remember value in simplicity and solitude. 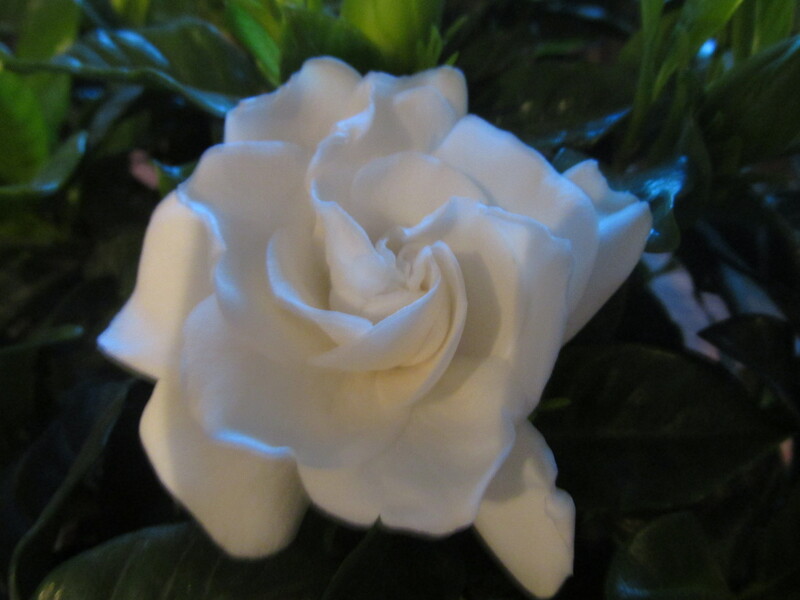 Recently when family gathered to help us celebrate our 50 years of being married, we were given a small white pot which contained a plastic bag filled with potting soil and a dried, brown ball with papery layers peeling back about the size of a small onion. 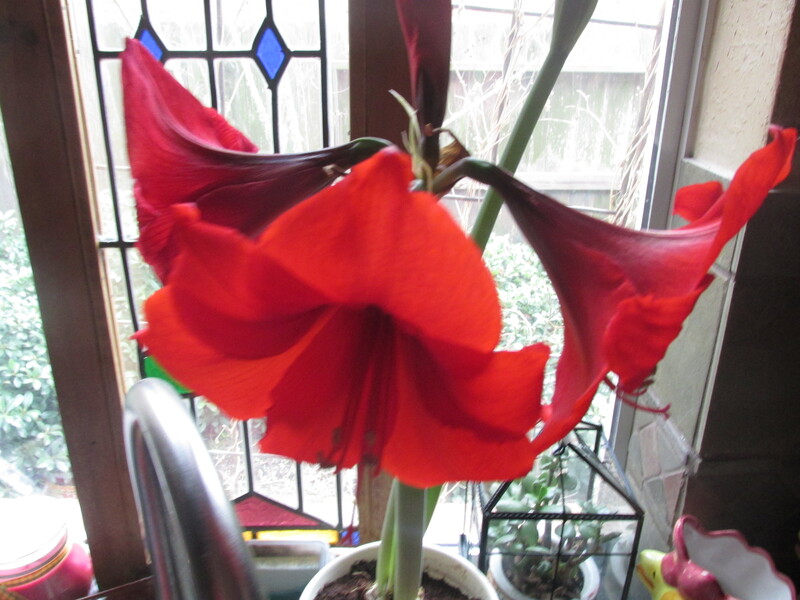 It was an Amaryllis bulb. As long as I let the pot, the soil, and the bulb wait on my counter, nothing much happened. There was one place where a spot of green wanted to push through its crackly wrapping, but seemed to have grown weary and quit trying. But as soon as opened the soil packet and poured it into the pot, pushed the bulb down, set it in a window, and added water, I could almost hear the dry dirt begin to breathe a lullaby to hungry roots as they began to channel new life into stalk and leaf. Two sturdy stems soon grew heavy with swelling buds. Above, the first scarlet flower opens wide, stamens heavy with pollen. Then there were three, so large it seemed they would topple. 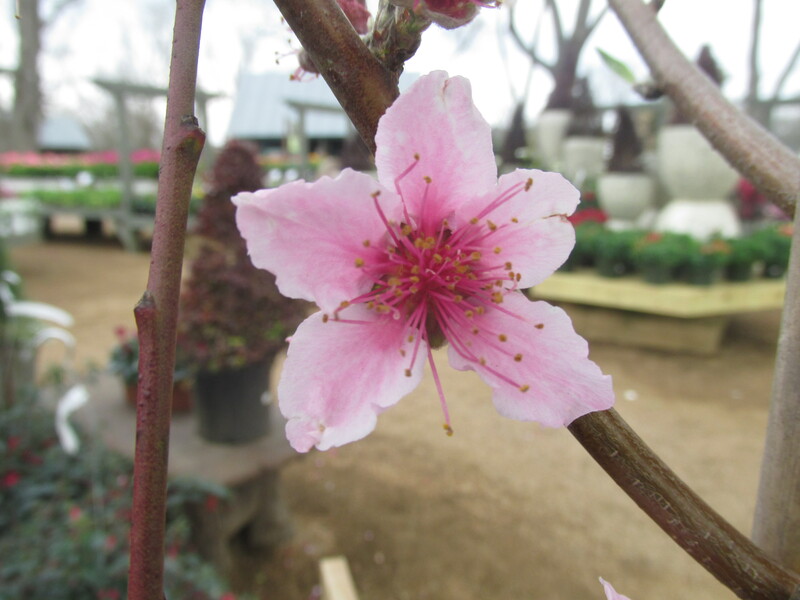 And just as the first bloom began to fade, the second stalk of buds began to open. In all, 6 magnificent delights have graced the plain white pot in my kitchen window. 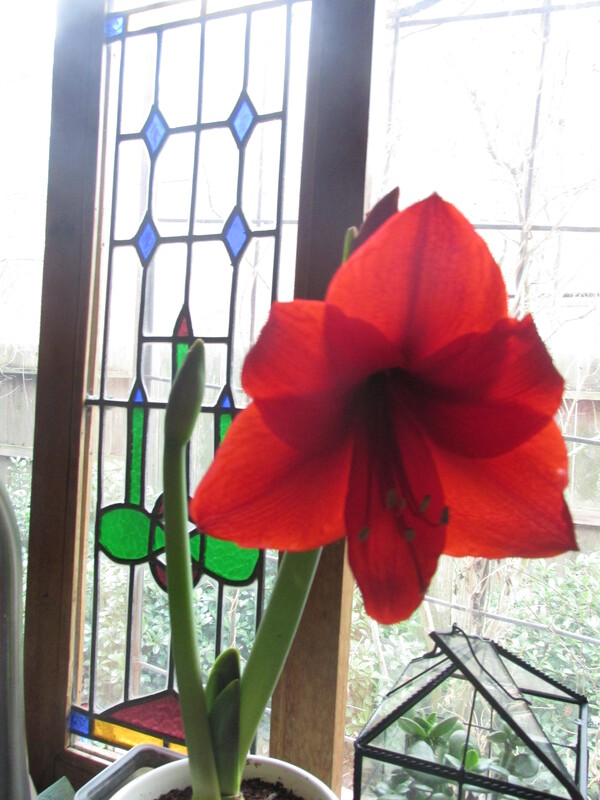 Without roots, this blooming would have stayed inside the brown bulb. The roots were a potential, but not a possibility until nourished with soil and light and water. What nourishes my soul to satisfy this need for rooting? Do I choose that which roots and grows? These are questions I ask again in a soul’s wintering.